Geoff is looking for a home as a youngster for handling with the potential to become a nice little ridden pony when old enough. He has a fantastic temperament, and is incredibly friendly and kind. He gets on brilliantly with other ponies and is currently living out unrugged with shelter. He is great to catch, handle and lead and to groom in the stable. He is good for the vet and farrier. 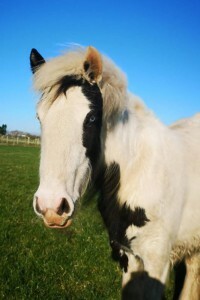 We estimate that Geoff will mature at approximately 13.2HH. If you are interested in Geoff, please apply online. He has a very good temperament and is very laid back and easy to do. 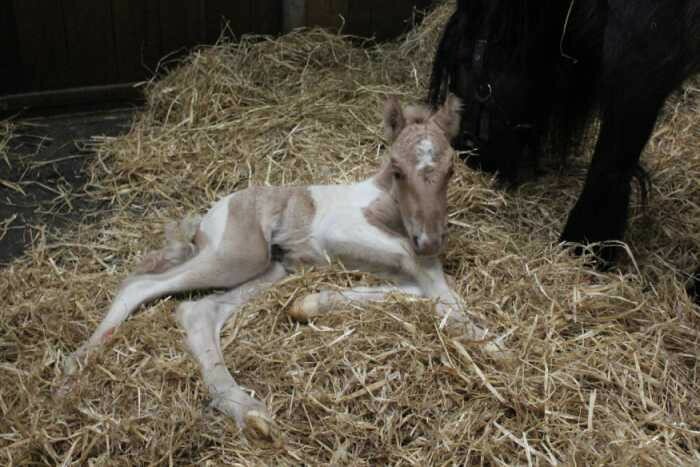 Geoff was born at Penny Farm after his mum arrive as part of a large welfare concern. His mum was very weak and Geoff was bottle fed until his mum was strong enough to produce milk.